This was Pack 705’s first time participating in JOTT and we had a blast. The weather was a bit muggy, but at least the rain held off. All in all a great day filled with a lot of fun. 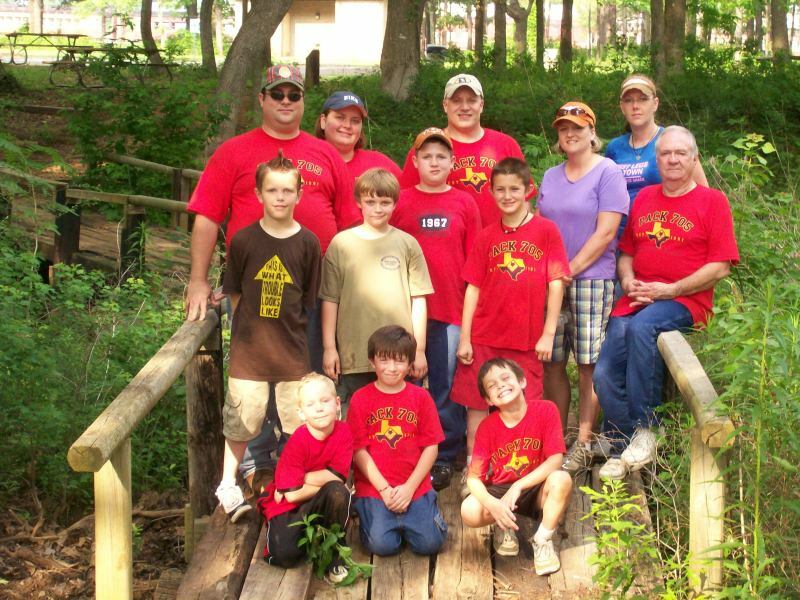 Our Scouts did their hike at Palestine Park/Texas State Railroad Palestine Depot combined with a nature scavenger hunt and some JOTT themed letterboxing. The scavenger hunt had them searching along the trail and identifying dogwood, oak, cedar, pine, and ash trees as well as wildflowers. The letterboxing involved finding boxes that held stamps for each of the Cub Scout ranks, the World Crest and a stamp representing JOTT itself. But that isn’t where the fun ended. We then participated in a pack hot dog roast and followed that up with s’mores. Some free time to explore and do whatever you like lead my son to the pond for some fishing. He did pretty well too. Some of us even camped out at the park. Our Pack would like to send our thanks to all the organizers of JOTT. We hope to be involved next year as well. 1st St. Marys Scout Group set out at 2:00 PM yesterday for a 5 kilometre nature walk around Castelreagh Nature Reserve situated a few minutes drive to the north east of Penrith. 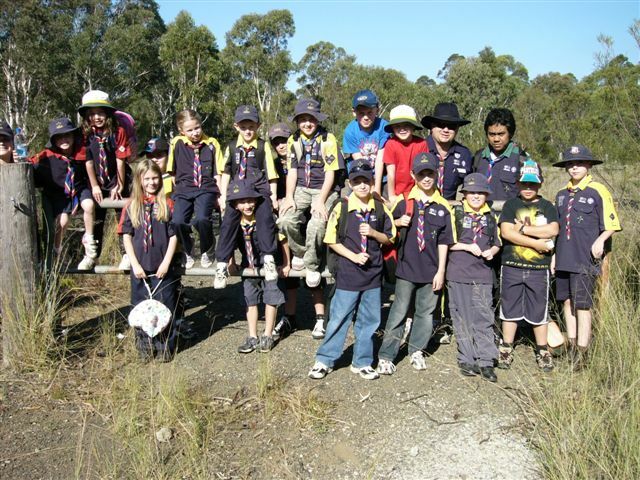 Having Joey Scouts with us meant we had to ensure the walk was well within their capabilities and sadly our Scouts all being relatively young have not had a lot of bush walking experience. So the nature walk catered well for all our sections on the day and was well suited to all the kids involved. We stopped after an hour for a well deserved break. After some biscuits and water the 5 Joeys, 11 Cubs, and 4 Scouts were refreshed and ready to push on. Our kids enjoyed being out amongst the bush, walking well prepared fire trails (remembering to cater for the Joey Scouts needs) seeing many birds, lots of trees, and sadly a green tree frog that had been seriously injured. After 2 hours and 20 minutes of hiking we made back to our point of origin. The kids refuelled with some icy cold cans of drink, veggies (well crisp chips) and in keeping with Scouting traditions, a slab a chocolate cake before the mums and dads took home their very excited but very weary kids. The walk was a relatively easy one with reasonably flat topography, but it was a good one to introduce many from our group to “bush walking”, which I am sure will help to kick of their interest in getting out and about in our wonderful bushland. Isn’t that what Scouting is all about? We also had several parents and siblings join in the walk to make for a much more interesting day (the more the merrier). We had our combined JOTT and pre-Mothers Day Hike last Saturday. Weather was glorious. We had over 78 attendees (kept losing count), with around 12 Joeys, 30 Cubs, and 36 Mums or so we think! We had pre-cooked 10 dozen scones, heaps of cream, jam, and boiled up litres of water on site at Brokers Nose which overlooks Wollongong. The Cubs and Joeys took their Mums tea/coffee/scone order and had to serve them and look after them for Mothers Day. The hike in and out as around 5 km, most of the Mums were OK. A couple struggled, but that was on the way back with a couple of scones on board! 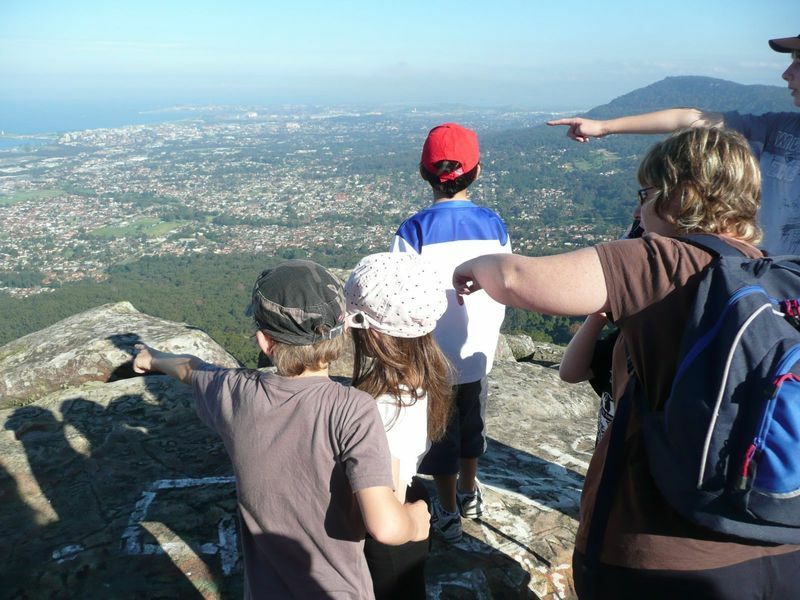 An enthusiastic group of 30 Cubs, Scouts, Leaders, and parents from 1st Waylen Bay Sea Scouts braved the wet conditions and took part in their first JOTT hike by walking part of the John Forrest Heritage Trail just east of Perth in Western Australia. Along the 8 km walk we viewed the flora and fauna and rediscovered some of the old historical railway line and tunnel that was built in 1895 and closed in 1966. It was the only railway tunnel ever built in Western Australia. The weather turned out fine and a great day was had by all. We look forward to JOTT in 2009. If you would like to receive information about JOTT by email, please enter your email address, select your country and click "Send". JOTT has a Yahoo! group and we invite you to join so you may share conversations, ideas, etc. with other JOTT participants worldwide. Join the JOTT Yahoo! Group. All are invited to submit designs for next year's JOTT crest. Designs should represent the world-wide nature of this unique Scouting event. Why not hold a JOTT crest night with your section? Designs should be submitted on letter-sized paper and drawn with black ink or heavy pencil so that they can be easily scanned into a computer (paints and crayons cannot be scanned). Mail your design to the address below. 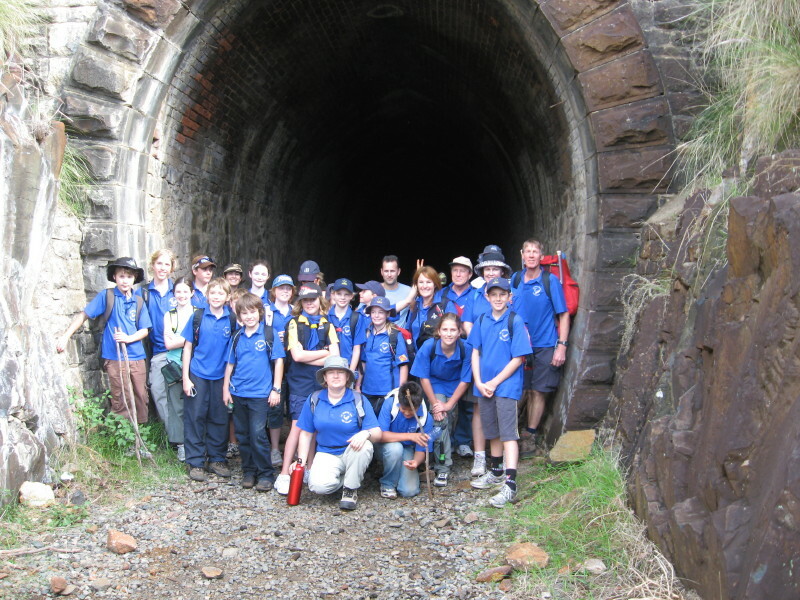 © 1997–2019 Jamboree on the Trail. All rights reserved.